The Térraba Sierpe National Wetland encompasses the largest mangrove forest in Costa Rica with an area greater than 16,000 hectares which, due to its biological importance, was declared of international importance by the International Convention on Ramsar Wetlands. In this protected area, mangrove resources have been used since pre-Columbian times when indigenous communities extracted dye from the bark of the red mangrove (Rhizophora mangle) to dye their clothing. Currently, the inhabitants of the wetland base their economy on various activities such as the extraction of the “piangua” mollusk (Anadara tuberculosa), artisanal fishing, and the isolated production of various crops and livestock; however, in the past, the local economy was based on the extraction of wood for the production of coal, firewood and construction materials, which decimated the mangrove forest. 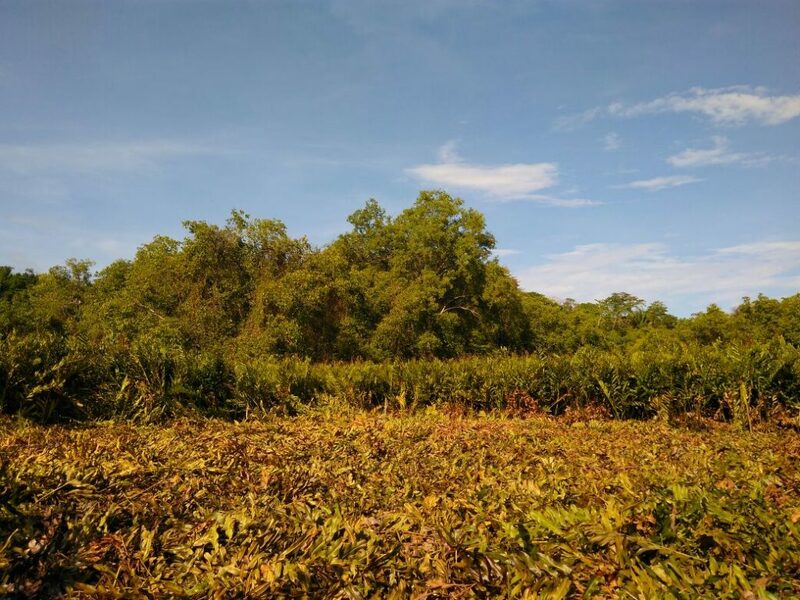 As a result of this deforestation, the “negraforra” fern (Acrostichum aureum) has dominated the wetland, which is an opportunistic species that is difficult to eradicate. Due to its high density, it acts as a barrier to the natural growth of the mangrove. 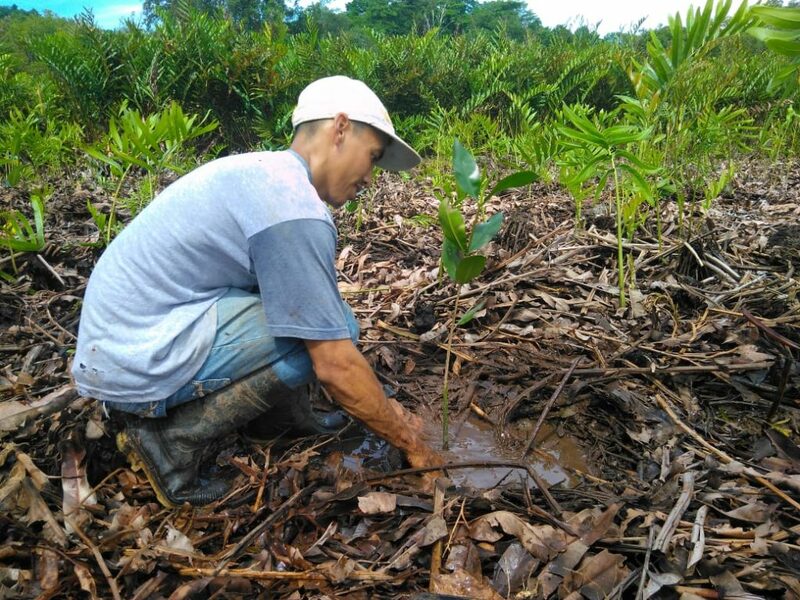 As a result of this barrier in forest regeneration, Osa Conservation is carrying out mangrove restoration actions through the project “Effective strengthening of mangrove ecosystems in Costa Rica and improvement of the quality of life of the local coastal population” with funding from ALDI SÜD and KfW-DEG. Osa Conservation is pursuing this project in conjunction with the Association of Piangueros and Marine Resources of Ajuntaderas (APREMAA) in order to promote the health, integrity and sustainability of a degraded ecosystem. 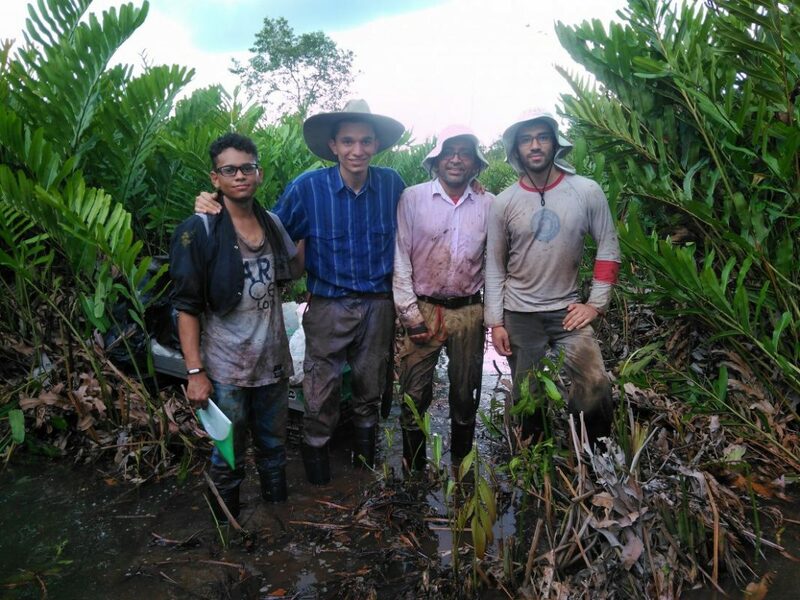 These restoration actions are based on active management, a technique that uses human intervention to remove the barriers that prevent the natural regeneration of the mangrove. This involves removing the fern in order create a more favorable environment for mangroves at restoration sites. The project is also establishing mangrove tree nurseries in order to accelerate the recovery processes of the ecosystem. All these tasks are carried out in conjunction by different institutions and national and international organizations such as the Osa Conservation Area, the Osa Municipality, the National University through its Applied Tropical Ecology Laboratory, Bluesensus, Shore-Rainbow Export Processing Group, ICE Group-El Diquís Hydroelectric Project, and GIZ Agency, among others. These efforts are part of a government policy for the conservation and recovery of wetlands as a fundamental element in the sustainable development of the communities that depend on them as a way of life. For Osa Conservation, it is a privilege to be a part of these efforts and to safeguard the fundamental services the wetlands offer. 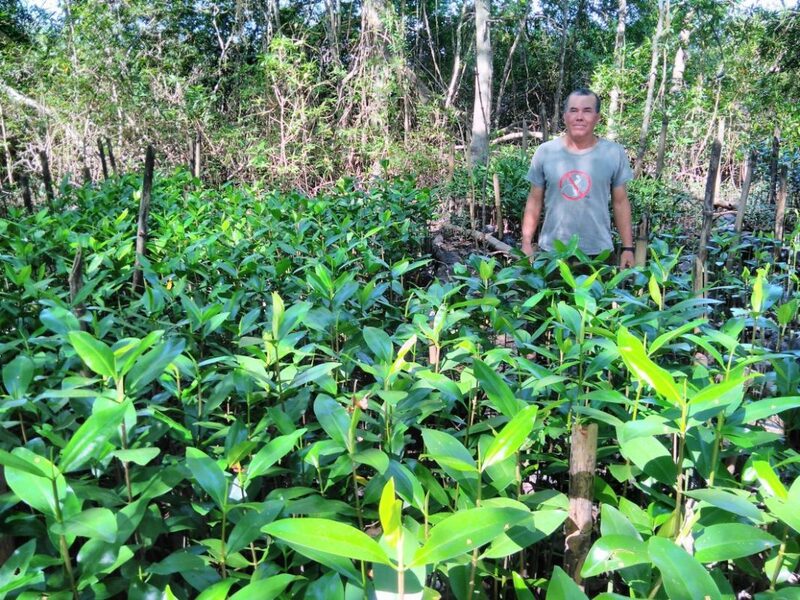 To find out more about our work with mangrove conservation, click here.